French Canadian singer Chantal Chamberland strikes a perfect balance between the soul of the classic singer/songwriter and the dynamic verve of a jazz chanteuse. She can swing with the best of them, then capture your heart with a soft torch song. 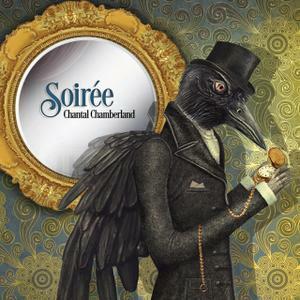 Her sixth album, SOIREE, captures both of those components - lively and tender, with a beautiful collection of songs mostly sung in French. There aren’t many artists whose personal life overshadows their musical output but Serge Gainsbourg wasn’t like most artists. His early career was spent smoking Gitanes, lurching between love affairs with various screen sirens and drinking his way through the nightclubs of Paris. Later he would become a dishevelled regular on French television, setting fire to a 500 franc note and drunkenly declaring his wish to bed Whitney Houston, before dying of a heart attack at 62. 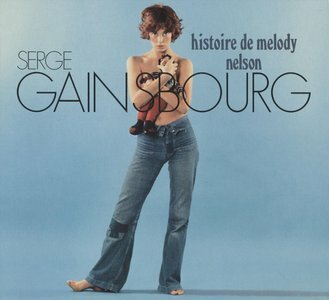 It’s little wonder that, apart from a bar of heavy breathing in ‘Je t’aime… moi non plus’, history can’t handle Gainsbourg’s musical accomplishments and some of the singer’s best work remains largely forgotten. 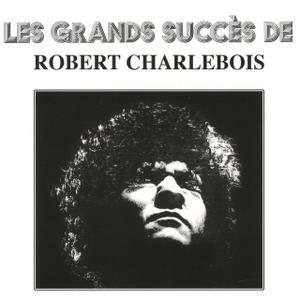 Robert Charlebois is one of the most enduring figures in Quebec rock history and surely has been the most influential during his career which spans five decades. During this time he started as a folk singer, shocked Quebec by turning to an extreme psychedelic rocker, came back to a singer/songwriter credo, and evolved as time went by into an adult pop/rock star. 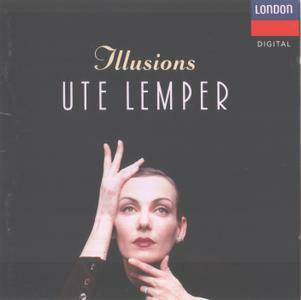 ILLUSIONS is one of Ute Lemper's purest artistic statements. Like the similar UTE LEMPER SINGS KURT WEILL, this album is a tribute, this time to two of her clearest influences, Marlene Dietrich and Edith Piaf. Though Lemper doesn't actually sound much like either singer (her voice is far more robust than Piaf's, and more expressive than Dietrich's), she finds the emotion at the heart of "Non, Je Ne Regrette Rien," and similarly has Dietrich's cool delivery down, giving a different twist to songs like "Jonny, Wenn Du Gerburtstag Hast." This perennially popular annual compilation had Australia listening to Camille before she became a JJJ darling, Fade Out Line before The Avener’s remix topped charts across Europe, Yael Naim’s New Soul before it became the soundtrack to Apple’s MacBook Air, and to Lilly Wood and the Prick ahead of Prayer C becoming an international hit. Dancing, hanging out with friends, enjoying sunny afternoons in the garden with a glass of Champagne in hand; So Frenchy has been a soundtrack of musical joie de vivre. And now, to celebrate a decade of friendship, its curators have carefully culled its whopping 360-song playlist down to the very best of the best. 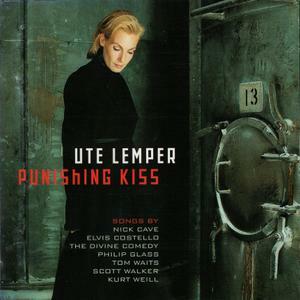 Ute Lemper has developed a reputation as a successor to Lotte Lenya with the looks of Greta Garbo or Marlene Dietrich, a northern European chanteuse with a taste for the decadent sound of Weimar Germany; she is arguably the definitive interpreter of Kurt Weill for her generation. Punishing Kiss, her first album devoted primarily to songs by contemporary songwriters, extends her reputation by incorporating the work of artists influenced by Weill. Many listeners not previously familiar with her will be drawn in by the presence of previously unrecorded songs by Elvis Costello (who contributed three selections), Tom Waits (two), and Nick Cave (one). But the primary collaborators on the album are the members of the British group the Divine Comedy, who provide the backing tracks on most of the songs, and three compositions by group members Neil Hannon and Joby Talbot, with Hannon singing duet vocals on three tracks. With 4 million records sold and an international tour of more than 500 dates, the # 1 French singer in the world is back with a new studio album of original songs. 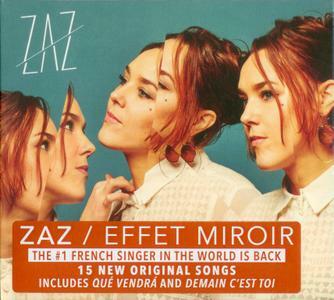 Between rock, salsa, French song, between beautiful ballads and dynamic tracks, the very eclectic album is an echo of the experiences, travels and meetings that ZAZ has done in 8 years of career. French singer-songwriter who mixes jazzy styles, French variety, soul and acoustic. She is famous for her hit "Je veux", from her first album, Zaz, released on 10 May 2010. In 2001, she started her singing career in the blues band "Fifty Fingers". She sang in musical groups in Angoulême, especially in a jazz quintet. 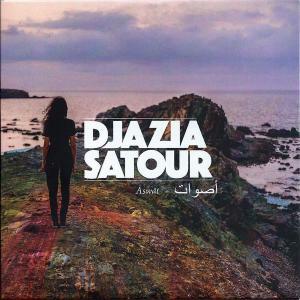 Née en Algérie, Djazia Satour puise dans les racines musicales de sa terre natale et mélange le chaabi de l'Alger des années 50, les rythmes ancestraux des bendirs, les mélodies raffinées du banjo et du mandole avec les basses et les claviers analogiques d’une pop chaude et savoureuse. Au début des années 2000, Djazia est la chanteuse du trio de trip-hop MIG, avec lesquels elle sort un EP et deux LP. 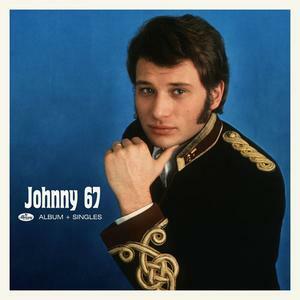 En pleine période 1967-68, Johnny HALLYDAY suit la nouvelle génération de rockeurs-rêveurs chevelus, jusque sur ses pochettes. On avait pu remarquer l'évolution de la typographie à partir du live à l'Olympia sorti au début de l'année, ou alors les pochettes d'EP/singles avec des chemises bariolées, l'hommage aux BEATLES déjà sous LSD pour le dernier album studio… Le lieu change, en revanche. 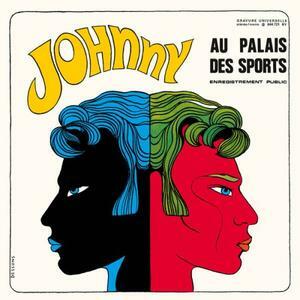 Même s'il la fréquente depuis ses débuts, Johnny fait des infidélités à Coquatrix, et la salle neuve du Palais des Sports dans le 15ème arrondissement de Paris devient sa favorite : l'acoustique est la meilleure de la capitale, tout comme la capacité d'accueil (5000 personnes). Il en sera ainsi pendant plus de quinze ans. 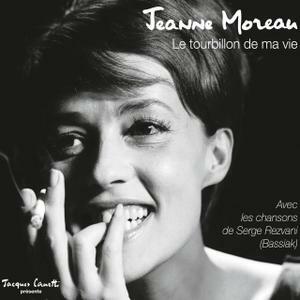 Pour rendre hommage à la grande actrice dont le nom est indissociable de la Chanson, ce coffret réunit pour la 1ère fois les 29 chansons que Serge Rezvani alias Bassiak a écrites pour Jeanne Moreau dans la foulée du Tourbillon de la vie. Jacques Canetti les a enregistrées en 1963, puis en 1966, avec comme orchestrateurs deux grands noms du jazz : Ward Swingle et Elek Bacsik. Ich möchte singen bis Freund Hein mich holt, antwortete Reinhard Mey in einem Interview zur Tournee des Jahres 2017. 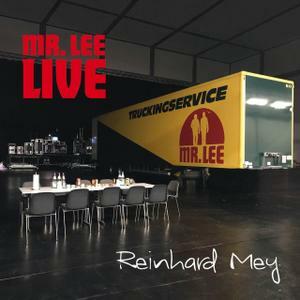 Und so stand er wieder auf der Bühne, der Liedermacher und Geschichtenerzähler Reinhard Mey, der wie am Beginn seiner Karriere ganz allein, nur von seinem Gitarrenspiel begleitet von Freude und Hoffnung, von Liebe und Zorn, von Glück und Schmerz singt. 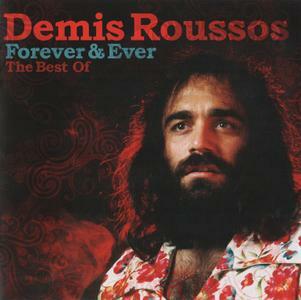 Demmis Roussos was one of the great Singers of the World. I would recommend anyone of any age to listen to this Album as it is Beautiful! Superb Voice and the music will appeal to anyone with a big heart and love. Widely regarded as the singer who fused the traditions of the French chanson with the energy and verve of American jazz, Claude Nougaro was born in Toulouse on September 9, 1929. The son of an opera singer and a piano teacher, he was raised largely by his grandparents, devouring not only classical music but also the homegrown pop of Charles Trenet and Edith Piaf, and the American swing of Louis Armstrong and Glenn Miller broadcast via Radio-Toulouse. 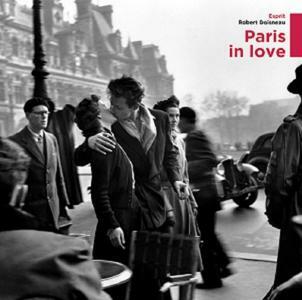 Wagram Music Presents Paris In Love album 16 original hits and the original artists genre Pop, Chanson French. 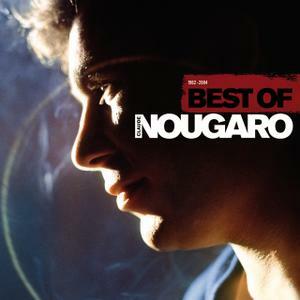 Includes tracks by Jacques Brel, Claude Nougaro, Serge Gainsbourg, Edith Piaf and more.